Five or Fifty – Are We Naming Too Many New Fossil Species? From deep under the sea to unexplored forests, numerous new species of living animals and plants are found each year. Similarly, lots of new fossil species, ranging from insects to dinosaurs are discovered yearly, and number in the hundreds to thousands. With less than 1% of prehistoric life represented in the fossil record, each new fossil discovery is important and contributes to our understanding of past life. However, in my latest study with Prof. Judy Massare (SUNY College at Brockport, NY, USA), we question decisions to name new fossil species on the basis of fragmentary material. Palaeontologists understand that studying fossils has its limitations – clearly. 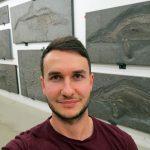 Furthermore, fossils differ in completeness and preservation, which can generate problems for palaeontologists attempting to uncover the hidden secrets locked inside the fossil. Of course, this does not even take into account other impacting factors that are difficult to assess in fossils, such as sexual dimorphism (male or female) or ontogenetic variation, i.e. whether the individual changes with age (from a juvenile to an adult). These questions are exceedingly difficult to answer. 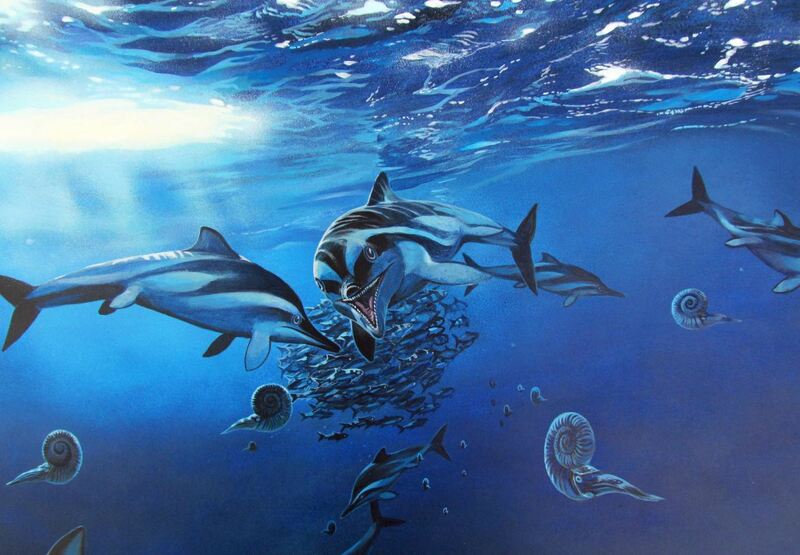 Life reconstruction of Ichthyosaurus (c) James McKay. Palaeontologists fall into one of two camps when it comes to naming species: "lumpers" and "splitters". The former "lump" groups of similar specimens together, whereas the latter opt to split-up specimens and distinguish new species. One feature that might look "different" or "unique" to one researcher might appear "variable" to another. So, defining new species based on limited material or from a small sample size can often have implications. In this new study, we examined hundreds of specimens of Ichthyosaurus and focused on one particular part of the Ichthyosaurus skeleton, the hindfin. Our purpose was to evaluate the variation among the six-known species of Ichthyosaurus and identified 99 specimens that provided useful information. Early in our research, we found different types of hindfin that initially appeared to represent distinct species. However, the more specimens we examined the more "variation" we uncovered, such as the relative differences in the size and number of bones. In isolation, a single hindfin could not be used to distinguish among species of Ichthyosaurus, but a particular variation was representative of certain species. Ichthyosaur skeleton Niedersächsisches Landesmuseum (Image credit: Lower Saxony State Museum, Germany). Our findings show that with only a few specimens, features can be found that differ substantially from one specimen to the next and thus appear as if there are multiple species – thus gaps in hindfin variation are larger when fewer specimens are available. In reality, with a much larger sample size, the gaps in the "unique" variations are filled in, showing that differences are simply the result of individual variation and a lack of the full picture. It is thus easier to identify a "new species" on the basis of a single specimen than with multiple specimens. If we opted to split-up all of these specimens, based on individual variations, it would mean we would potentially have about 30 or more species. This would be similar to what was done in the 19th Century when any new fossil find, from a new location or horizon, was named as a new species if it differed slightly from previously known specimens. Four Ichthyosaurus hindfins showing differences between the contact of elements (1 and 2) with the astragalus. Comparing the first and last images suggests two "very different" morphologies, but introducing the two specimens in the middle shows that this is simply a continuum of variation (from Massare JA and Lomax DR, 2018, Geological Magazine, doi: 10.1017/S0016756818000146). We also found several very odd variations that, again, in isolation could easily be interpreted as representing a new species. But, with examination of more specimens, we also found that these were simply the result of a continuum of variation whereas others were likely the result of pathology. As lots of new fossil species are named every year, in some cases, such as with fragmentary or limited remains, the decision to name a new species should be considered very carefully. The new study was published in the scientific journal, Geological Magazine.